Rio Bravo Veterinary Hospital offers a comprehensive range of small animal veterinary services, from routine medical care to advanced diagnostics and surgical procedures. While we see mostly dogs and cats, we enjoy caring for other critters as well, everything from geckos to ferrets to rabbits as well as barnyard pets including small ruminants and fowl. 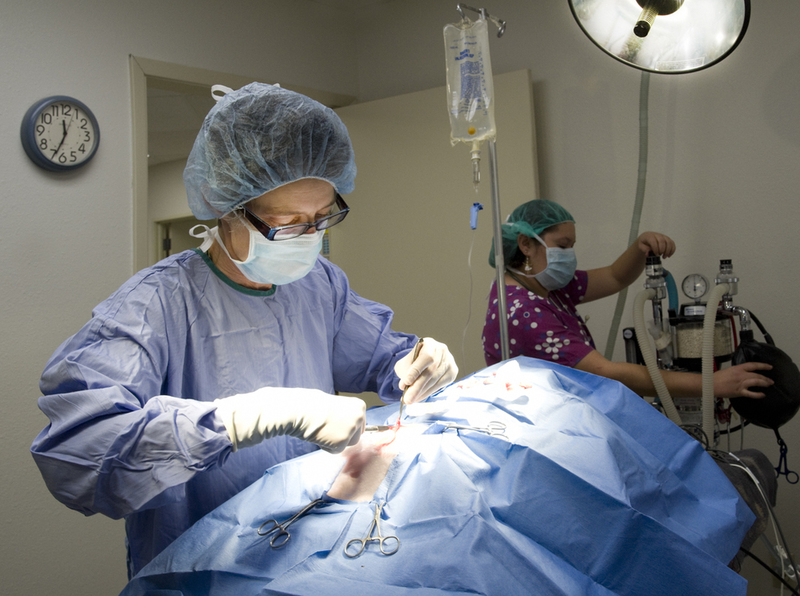 Keeping your pet safe and comfortable before, during and after surgery is our highest priority. All surgical procedures follow advanced anesthesia protocols and monitoring. This means that while your doctor performs your pet's surgery a dedicated veterinary surgical technician is monitoring your pet's heart rate and rhythm (EKG), blood oxygen levels, body temperature, respiration and blood pressure. After surgery, we will continue to monitor your pet to ensure that, if present, any pain is identified and treated. As with most things in life, "an ounce of prevention is worth a pound of cure." Providing your pet with routine wellness care is the best way to identify small problems before they become health emergencies. We encourage periodic wellness exams, routine vaccinations, parasite control, regular dental cleanings, age-appropriate blood and urine screenings, and, of course, regular exercise and proper diet. Emergencies happen, and when they do, we are here to help. We are well equipped to handle most common emergencies including parvo virus, trauma, and ceasarian sections. We will always be honest with you, laying out all your treatment options and letting you know how serious your pet's condition is. Please call us right away if an emergency arises with your pet during office hours.